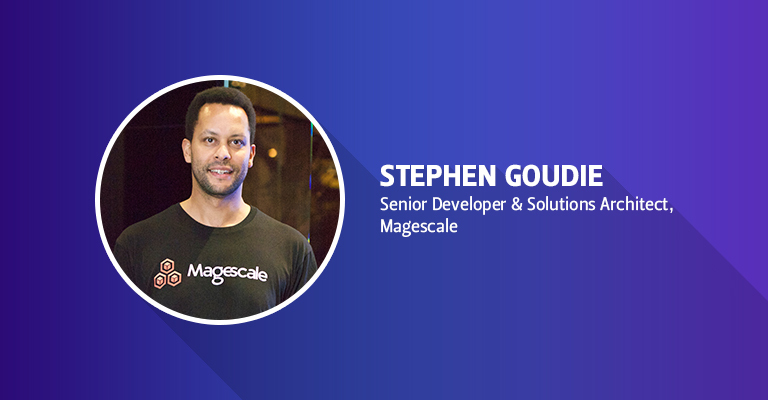 Let me introduce you all to another Magento influencer, Stephen Goudie, who is currently a senior developer and solutions architect at Magescale. He is a certified Magento Developer with vast experience in the popular platform. Muneeb: Stephen, please tell our readers a bit about yourself. How did you start your career, and what was the reason for pursuing your career as a Magento Engineer? Stephen: Hi. Thanks for the opportunity to share my past, present, and future thoughts on Magento & my passion for open source in general. Initially, I came into contact with the Magento platform post University when working on some front-end development for a 1.1 version build. I began with a healthy appetite for interactive media. Initially, like most, the curiosity was spiked with the limitless potential of Flash and then to tickle the creative itch with Responsive CMS driven sites and Magento. I liked the platform as it was very capable and flexible, and I was eager to learn how to create something of that nature. It served as an interesting research subject, learning tool, and insight into best practice design patterns, software engineering & database design for PHP/MySQL. Muneeb: There are so many Ecommerce platforms today. How would you rate Magento in contrast to other platforms? I think it works well for what it is was intended for and the guys at Varien did an amazing job of creating a platform to stand the test of time with a core that is extendible and agile enough to morph to some of the most toughest eCommerce briefs. I love how its many product types that can be used to express and display in an interactive manner a wide range of sellable wares. One common gripe with the platform is its speed, because with great flexibility comes complexity. Mastering the optimization of the stack and keeping all the environments playing nicely together through the use of Docker and Devops also serves as an interesting challenge for continuous deployment. Coming from a development background, one of the most concerning situations you can get yourself into is being backed into a corner where the framework isn’t extensible enough to cater for your requirements. Magento has never failed in fulfilling ecommerce requirements. If the client is an SME for example, with a strong Omni-channel presence the platform lends itself well into integrating easily weaving into cloud SAAS products, ERPs, accounting systems flexing and catering swiftly to the ever changing ecommerce landscape. If it is not, then there are other platforms which may be more suited. 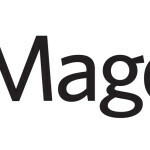 Muneeb: You are currently a senior developer and solutions architect at Magescale. 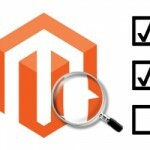 Can you highlight some of your responsibilities as a Magento developer? Muneeb: You are a Certified Magento developer. What are the advantages of being Certified? Share your thoughts for newbies who want certifications in Magento? Stephen: Certification does not always mean a great understating of the platform. More often than not, coupled with experience, it can serve as a good way to traverse the extensive Magento core. As the platform has so much scope, being certified certainly assists in taming the steep learning curve making it an enjoyable experience for the developer and a timely execution for the client. I think starting with skinning the frontend with best practices is a great way to get the feet wet. From there, building extensions, adding new features, backend development, integration & optimisation of the code and caching layer to complete the loop and mastering Magento becomes much easier. Muneeb: What do you like about your job the most? What makes your office so special for you, and could you share a picture of your workplace? Stephen: I love the challenge of bridging the gap between agencies and businesses by offering more immediate support and hosting packages to attend to their urgent needs more efficiently. Balancing development on local time and scaling development internationally round the clock keeps things interesting & it’s always good to see happy clients served by the right people, at the right time, in the right way. Dealing with developers with great communications skills that can manage & deploy continuous development on large scale projects projects helps a lot. This can be a welcome change from project managers who have great communication skills but limited technical skills. This can be cut down greatly by solving pain points and shifting the focus on honing on new features. 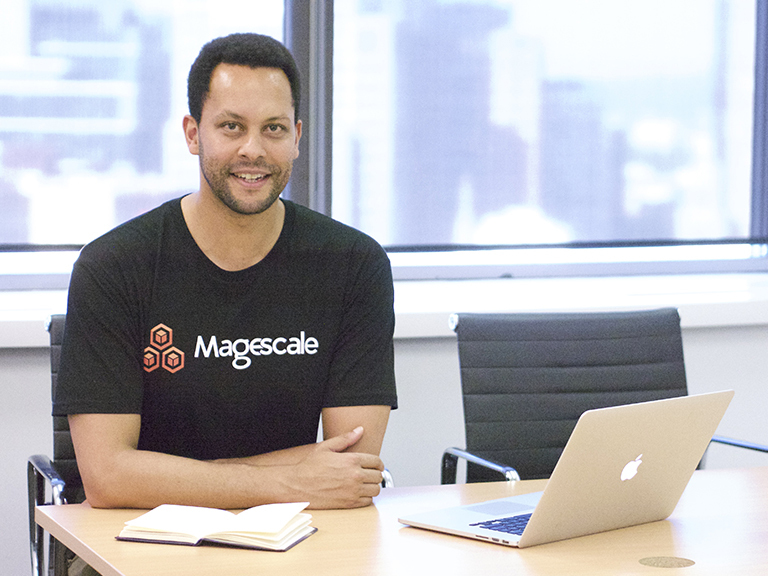 At Magescale we keep things lean, agile, and responsive by resolving issues as they arise through our network of talented individuals in a timely manner. As a freelance software engineer and contracting consultant, I like to move around a lot and so do our colleagues. Working in co-location environments, remotely, as well as onsite allows us to work at a variety of different locations nationally and internationally and achieve the outcome tailored to our client’s needs. Muneeb: How would you differentiate Magento 1 and Magento 2? What are your favorite features from both versions? The admin panel and dashboard has been vastly improved from Magento 1 and a delight to administer your catalogue and CMS. The signup, account creation, and checkout have been streamlined to increase conversions and the shopping experience. Improved API coverage for third party integration. Elastic Search in Magento 2 Enterprise. Architected for speed and flexibility. For example, varnish caching, which stores pages into memory rather than reloading the whole page comes built-in rather than with an extension. More extensions due to its firm holding in the market place since 2008. 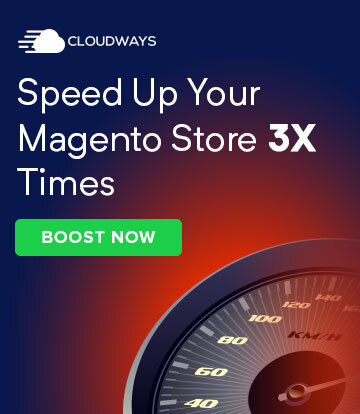 There are significantly more Magento 1 stores in the wild than Magento 2. Faster out of the box. Muneeb: In your opinion, what are the advantages of attending Magento events? What are the benefits of attending these type of events for new Magenticians? Stephen: Attending Magento events and meetups are a great way to network, get sage advice on new concepts, quiz mentor figures on new processes and methods of development and design. It also serves as an inspiration to try out new ideas which may be out of your comfort zone and at the same time you can share your experiences with other people in the field with a similar or greater passion level. Muneeb: What advice do you want to give to our readers about learning Magento? 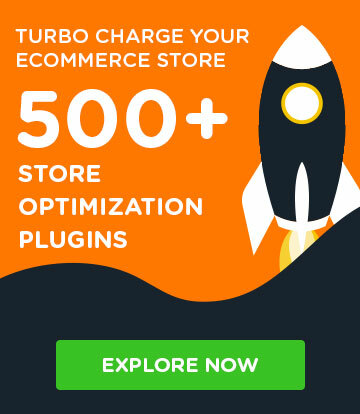 What would your advice be for Magento newbies? Stephen: Personally, I like to use multiple streams of learning. If you learn quickly in a classroom, try the Instructor lead courses at Magento U. If on-demand learning is your thing, then there are quite a few units, exercises, and tests leading to consolidating your knowledge and certification. Otherwise rolling up your sleeves and kicking off a passion project should complement the above nicely. PHP and Object-orientated programming is a definite pre-requisite for best results. Muneeb: Tell us about your personal interests and hobbies. Do you love playing any sports or watching movies? How to do you enjoy your free time? Stephen: Some of my personal interests and hobbies range from design (graphic/interior), moving image, writing, music composition, blogging, but most of all being challenged by collaborating and assisting other practitioners in their various disciplines. I also like to learn other scripting languages, Devops & growth hacking. I am very passionate about bespoke development especially in the area of real-time apps such as Node.js/Meteor & templating engines like React/React Native. Behaviour driven testing (Behat), Unit Testing (PHPUnit), AWS, Docker, and automated deployment pipelines are an area of strong areas of interest & research. These external interests outside of Magento help to keep the passion levels up, abreast, open and agnostic to the future of web development as a whole. Seeing and working with ideas from conception to execution is the biggest buzz, whether on a hobby enthusiast level or a business project. Muneeb: Tell our readers about your typical day at work? Stephen: A typical day at Magescale, when working for a large retail and offline client, it typically usually starts with attending to any maintenance issues which may have arisen. A maintenance update may be a change request to improve the business workflow such as adding a tracking code to a shipment email, making it easier for site users to navigate the site through the frontend User interface, as well as optimising the site for speed and performance. 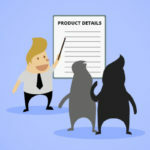 Other tasks would be refining a feature which has been deployed onto the site based on iterative feedback from a marketing and sales department. And usually after that it would involve the creation, conception, and building a new feature for the site. 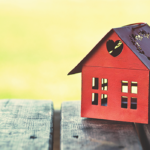 This may be installing an extension, extending an extension, or creating an entirely new extension. Stephen: Yes please Syed, I would love for my colleagues to be interviewed on Magenticians, a site I have come across many times in my travels. I recommend Francis Kim and Oliver Bode whose interests include Magento, NodeJS/Meteor, AWS, and others.